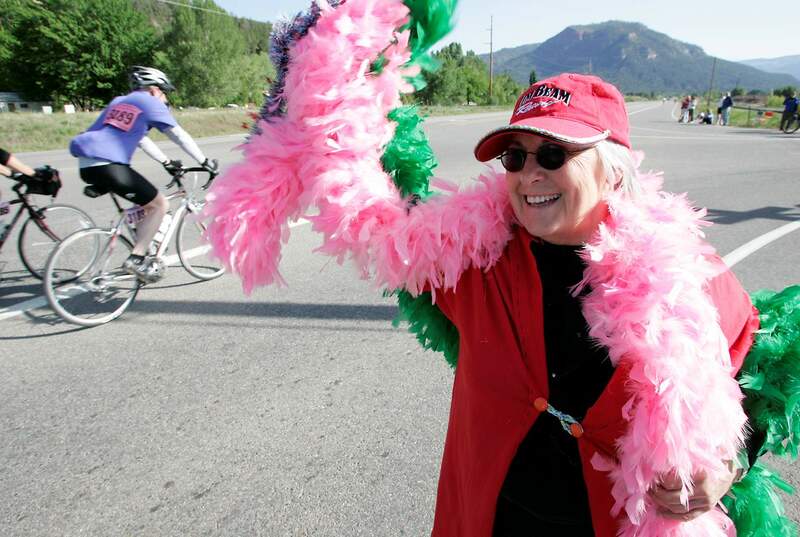 Women pro racers head up the Animas Valley in 2013’s Iron Horse Bicycle Classic race. The pros will race beginning at 7:30 a.m. Saturday. It’s here again. 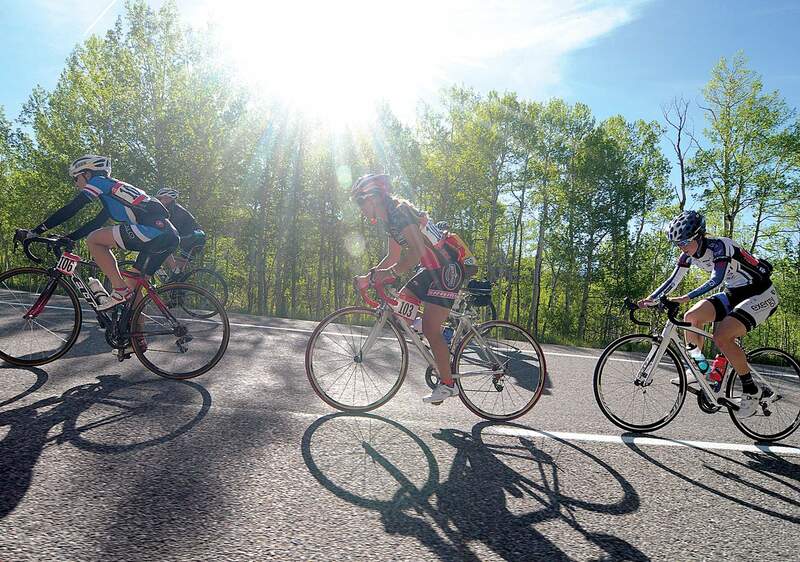 This year’s 47th annual Iron Horse Bicycle Classic will take place this weekend. Thousands of riders, spectators, future cyclists and passers-by will descend on Durango to watch one of the best cycling events in the West. Many of the events are the same as last year, but to be sure you’re in the loop, here are some top things you need to know for this weekend. Road and trail closuresU.S. Highway 550 will be closed between Purgatory Resort and Silverton from 8:30 a.m. to 1:30 p.m. Saturday. Also on Saturday, traffic on U.S. Highway 550 in the Animas Valley will be rerouted from 7 to 9 a.m. Southbound traffic will be routed on County Road 203 from Hermosa to Animas View Drive. Northbound traffic will travel in the southbound lane of Highway 550. One southbound lane of traffic will be closed starting 3:30 p.m. Saturday on Main Avenue between Eighth and Ninth streets. Multiple road closures will take place around downtown Durango on Sunday. From 6 a.m. to 6 p.m. these roads will be closed: Main Avenue from Eighth to 10th streets; East Second Avenue from Eighth to Ninth streets; Eighth Street from Main Avenue to East Eighth Avenue (crossing at East Third Avenue); intersection of 10th Street and East Fifth Avenue; and East Eighth Avenue up the hill to Fort Lewis College. These trails will be impacted by the Iron Horse mountain bike race from 10 a.m. to 6 p.m. Sunday: Nature trail, Rim trail, Chapman Hill access road, Factory trails and Lamppost trail. It is not advised to use these trails during the mountain bike race. Fans cheer on riders in the 2007 Iron Horse Bicycle Classic Citizens race. Spectating The road race to Silverton offers mountaintop spectating. Spectators can watch the racers crest Coal Bank and Molas passes, but be advised that the road will be closed from 8:30 a.m. to 1:30 p.m.. The finish line in Silverton could prove to be a smart spot to watch if the race comes down to a sprint finish. Again, plan ahead for the Highway 550 road closure. In downtown Durango, the BMX race, cruiser crit and mountain bike races offer plenty of entertainment. Watch as the mountain bikers battle the steep, rocky access road to the top of Chapman Hill or as they cruise through the inside of Steamworks. The climbs After traveling through the Animas Valley, the road race course to Silverton climbs for about 10 miles to an elevation of more than 8,500 feet. Then, the riders face Coal Bank Pass, which climbs from 8,600 to 10,500 feet over 5.4 miles, according to data from Strava. Finally, Molas Pass climbs from 9,700 to 10,700 feet over 3.4 miles. Gravel and mountain bike riders get a reprieve from the high elevation. The gravel routes feature a steep climb known locally as the Glockenspiel. The steep pitch on County Road 502 is 1.3 miles in length with an average gradient of 5 percent, with sections reaching over 10 percent. Then, the Texas Creek climb on County Road 245 is 2.5 miles at 5 percent. The mountain bike course, which travels around the FLC mesa, features two climbs that both reach gradients of close to 30 percent. The Lamppost singletrack trail is just a third of a mile with an average gradient of 8 percent. The main challenge of the course is the climb up Chapman Hill, which is just over a third of a mile with an average gradient of 11 percent. 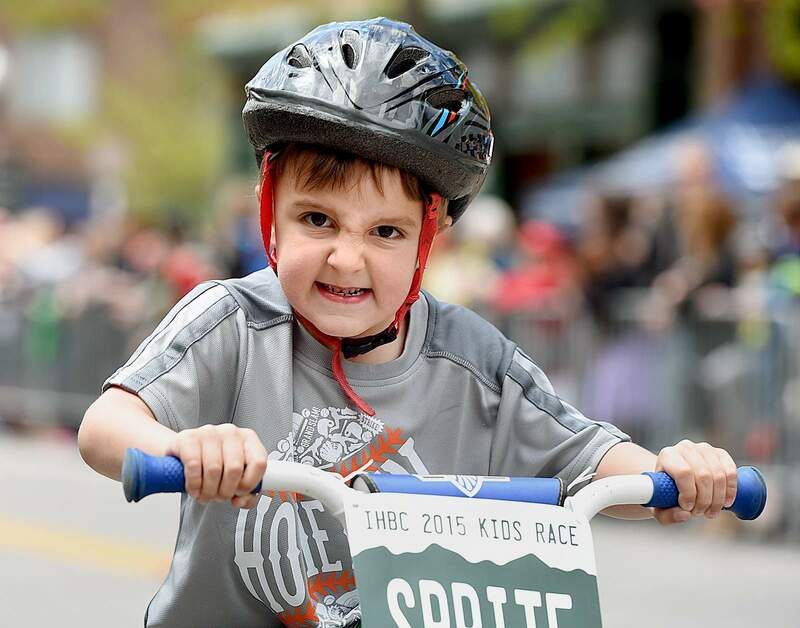 Silas Fredrick, 5, puts on his game face for the Iron Horse Bicycle Classic Sprite Kids Race in 2015 in downtown Durango. Silas is the son of Benj and Marci Fredrick. Kids Most of the bicycle race events are open to all ages. There are also additional events for kids. There will be a kids fun race from 9 to 11 a.m. Sunday at the corner of Ninth Street and Main Avenue. There will also be a kids village from 8:30 a.m. to 2 p.m. Sunday featuring a bounce house, face painting, a strider bike course and other activities. Riding at high elevation One of the reasons the Iron Horse is considered a well-known and tough event is because of the high-altitude course. Most people observe that breathing becomes more difficult the higher in altitude you are. This is even more noticeable when you are exercising at high altitude. The simple explanation for this is that there is less oxygen in the air at higher altitudes, so it takes more breaths to intake the amount of oxygen the body needs, said Bruce Andrea, a cardiologist at Durango Performance Center. Physiological changes happen in the body when exposed to altitude. Changes can happen in a matter of days, to more significant changes over years. This is why athletes who live at higher altitudes adapt to the lower oxygen levels, and athletes from lower altitudes have a harder time when first exposed, Andrea said. To have a successful race, Andrea suggests athletes get plenty of sleep in the days leading up to the race. Also, limit alcohol consumption before the race because alcohol in the body’s blood interferes with oxygen absorption by the blood. Weather forecastThe National Weather Service is calling for sunny skies Saturday in Durango and Silverton. The temperature is expected to be 52 degrees at 8 a.m. in Durango and steadily increase each hour: 60 degrees by 9 a.m., 65 degrees by 10 a.m., 72 degrees by 11 a.m., 77 degrees by noon and 81 degrees by 1 p.m. The high is expected to reach 84 degrees in Durango, according to the weather service. Riders can also expect a light easterly breeze reaching no more than 7 mph through the morning. Ride the route virtuallyNot in the mood to pedal 47 miles to Silverton? Or maybe you’d like a preview of what’s to come? Residents and visitors can watch an eight-minute time-lapse video showing the route from Durango to Silverton. Retired pro cyclist Todd Wells and sports psychologist Marisa Asplund narrate the video to tell viewers what riders should prepare for at various points along the route. Follow our coverageStarting today, keep up to date on stories and other information on our special Iron Horse Bicycle Classic page. 2 p.m. Sunday: Mountain bike race through Steamworks Brewing Co. Follow our reporters on Twitter: @durangoherald, @karltschneider, @ryansimono, @jlivi2, @awsemadeni and @jerryphotog.